“June 11, 2012– Last week, the winners of the annual IndieReader Discovery Awards (IRDAs) were announced at BookExpo America (BEA), a major trade show inNew York City. 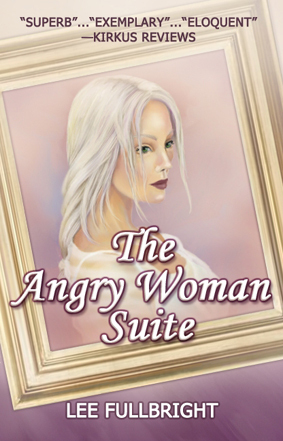 The First Place award in the category of LITERARY FICTION was shared by THE ANGRY WOMAN SUITE by Lee Fullbright and IN LEAH’S WAKE by Terri Giuliano Long. And, yes, of course I’m thrilled by the Discovery Award for The Angry Woman Suite (published March, 2012), and I was floored to learn of my finalist status in the Historical Fiction category as well, which I found out about just one day before the win in Literary Fiction. Talk about a blur. So why my delay in knowing anything? I think I’m going to frame Laurie’s words for my bedside table. Here’s to coming up for air. This entry was posted in A Writer's Life and tagged IndieReader Discovery Awards, Lee Fullbright, Literary fiction award winner, The Angry Woman Suite. Congrats cousin!!!!! Well deserved for a great book. Waiting for the next one……. Very lovely message from your friend. It made me cry as well. I’m sure he is looking down and smiling at this accomplishment.